วันอาทิตย์ที่ 01 พฤษภาคม 2016 เวลา 04:10 น. 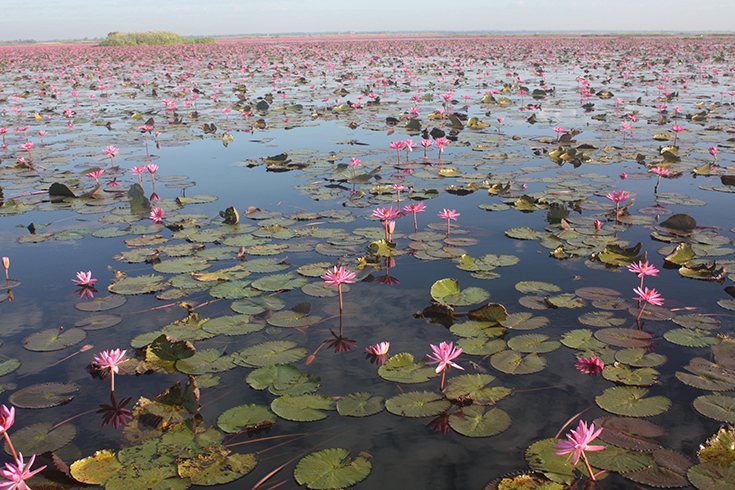 Imagine rowing your boat through a sea of floating lotus flowers that expand as far as the eye can see. Dreamy? Yes, but also completely possible if you visit to one of the world’s strangest lakes (according to CNN) in Northeastern Thailand (Isan, Esan). The Sea of Red Lotuses, or the Lake of Red Water Lilies or what local people call “Nong Harn Kumphawapi Lake หนองหานกุมภวาปี” , often just “หนองหาน Nong Harn” or “Talay Buadaeng ทะเลบัวแดง (the Red Lotus Sea)” occupies 20,000 rai (8,000 acre) and it is a significant source of water for the Nam Pao River, the lifeline of the Udon Thani province. The lake is very shallow, mostly not exceeding a depth of one meter, but the unique feature of this lake is thousands of red lotus flowers sprout and completely transform the surface of Lake Nong Harn into a romantic dreamlike lake. When to visit: The red lotus sea is best witnessed in the cool season from November to February, it reaches full bloom in December. 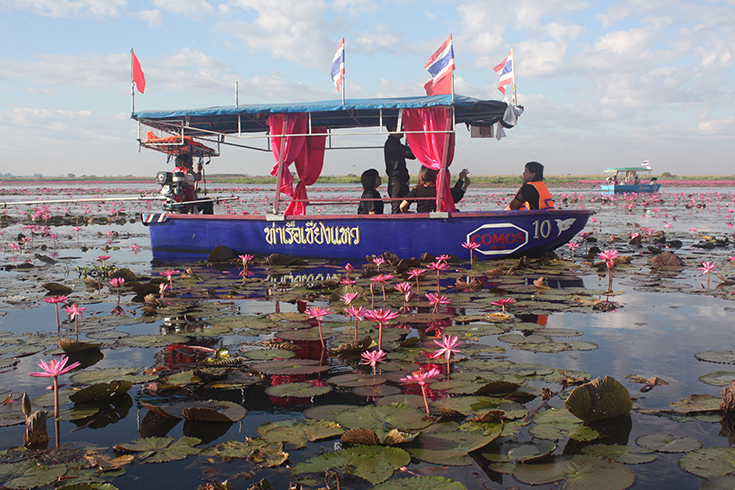 The perfect time to see the beautiful red lotuses in full booming is in the morning from 6am to 11am when the flowers are fully opened, revealing their vibrant, pink color (not red, despite the name), but tourists can take a boat tour for sightseeing around the lake all day. The rest of the year, the Nong Harn Kumphawapi Lake is certainly less interesting but still a fishy place with fishermen and a wide variety of birds and water plants. Location: Nong Harn Kumphawapi is located north of the town Kumphawapi, Kumphawapi district in Udon Thani Province. The lake is about 50 kilometers away from Udon Thani. The access point to the lake is in a village Ban Diam, which is just south of PrajakSinlapakhom town. In Ban Diam village, the access to the lake is at the backside of the temple. 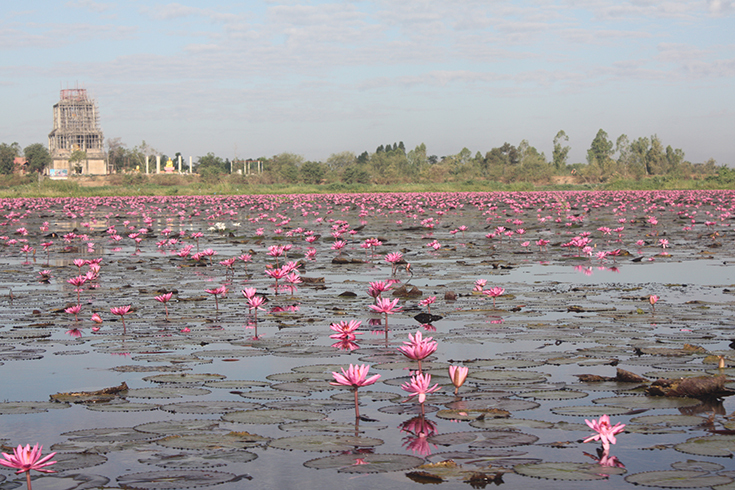 The yearly sprouting of thousands upon thousands of red lotus flowers completely transforms the surface of Lake Nong Harn into an 8,000-acre vision of buoyant blossoms. This aquatic garden begins to grow in October, just after the rainy season. When it reaches full bloom in December, nearby villagers, who trace the origins of the lake to a tragic love myth, take to boats to enjoy the miraculous scenery. 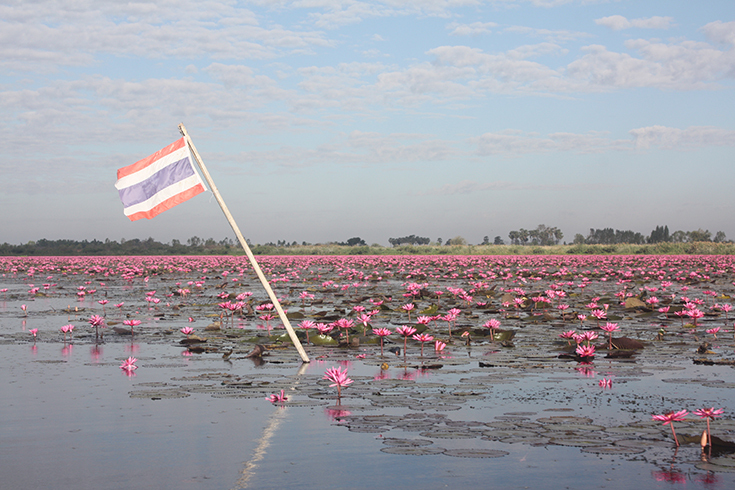 The sea of red lotuses—Talay Bua Daeng, as the locals say—is best viewed during daylight hours before noon, when the flowers are fully opened, revealing their vibrant, pink color (not red, despite the name). 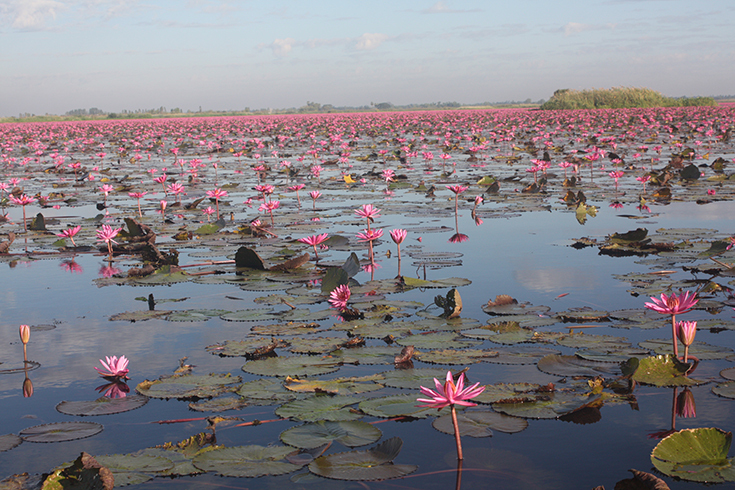 The lake, which is located in the province of Udon Thani, 350 miles north of Bangkok, stays rosy until March. The Greatest Places begins by noting that Earth is "the most diverse planet in the solar system," and impressive computer-generated graphics depict the very early history of the planet, showing vividly how geological events formed the continents. 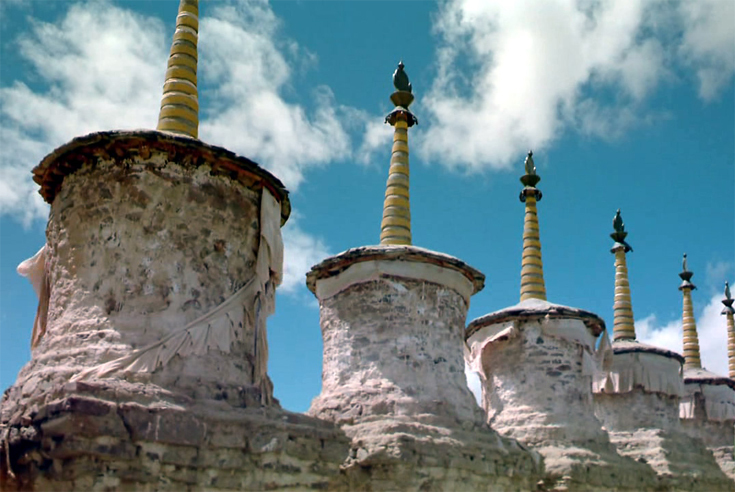 Particular sites around the world (the "greatest places" of the title) are then visited, and some dazzling cinematography displays the exotic locations spectacularly. A trip into the jungles of Madagascar demonstrates how the island, isolated as it was for 40 million years, developed unique wildlife, including many species of lemurs. High atop the Tibetan plateau, nomads are seen herding yaks and Buddhist pilgrims are filmed against the stunning peaks of the Himalayas. 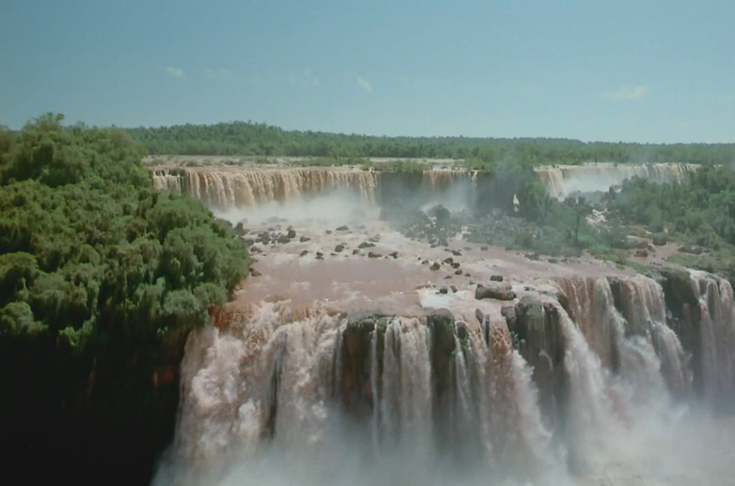 A "holy lake" in Tibet dissolves into a shot of the mighty Amazon River, and the ecosystem of the South American jungle is explored. And the world's largest island, Greenland, is scanned by cameras that linger on the sheer enormity of glaciers as well as on the native peoples who manage to live at extreme low temperatures. 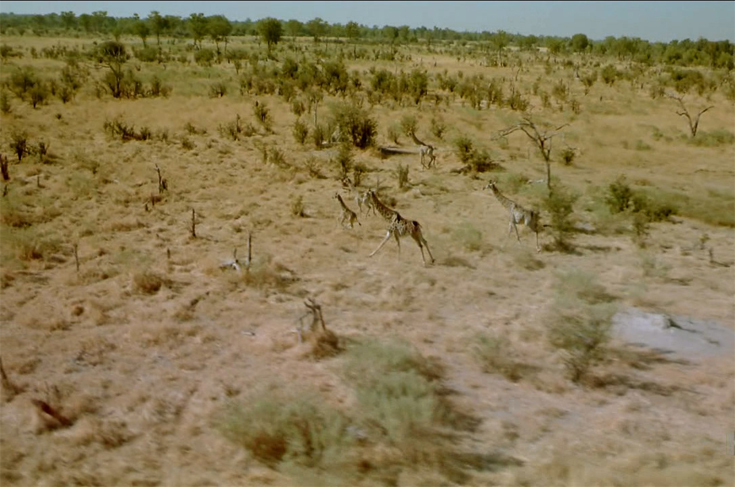 Near the end of the film the narrator notes that "life is a reflection of the landscape." And the breathtaking film shot in these remote but magnificent locales does demonstrate beautifully the awesome diversity of both landscape and life on Earth. Witness the greatest collection of diversity ever produced. The Greatest Places is a large-format film that takes you on a journey to seven of the most geographically dynamic locations on Earth. AMAZON - This mightiest of rivers forms a network of water channels that permeates nearly half of South America. GREENLAND - Harsh, foreboding and almost completely buried beneath a cap of permanent ice and snow. Greenland is the world's largest island. 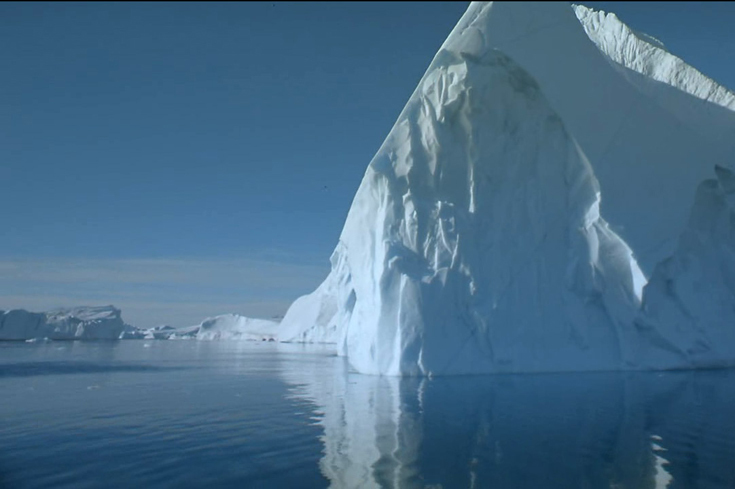 It is estimated that some 10,000 to 15,000 icebergs are calved by Greenland's glaciers each year. IGUAZU FALLS - Strung out along the rim of a crescent-shaped cliff about 2.5 miles long, some 275 individual cascades and waterfalls plummet up to 269 feet into the gorge below. The thunderous roaring can be heard from miles away. NAMIB DESERT - Stretching 1,200 miles in length, but averaging a width of only 70 miles, the Namib Desert is home to the highest sand dunes in the world. OKAVANGO DELTA - A 6,000 square-mile maze of lagoons, channels and islands helps Okavango earn the description "the river that never finds the sea." Think hippos are nice and slow? Think again! Ever try making your own paper? The first paper was made out of papyrus, still found in Okavango. MADAGASCAR - The world's fourth largest island is currently home to a rich diversity of wildlife, including lemurs, chameleons, spiny globefish, and up to 10,000 species of flora, 80 percent of which are found nowhere else on Earth! TIBET - The Chang Tang plateau, at an average height of 15,000 feet, gives birth to many of Asias's mightiest rivers. Wow, this post is fastidious, my sister is analyzing these kinds of things, therefore I am going to convey her. you the usage of? Can I get your affiliate link on your host? I'm impressed! Extremely helpful information specially the last section :) I deal with such information a lot.